It’s hard to imagine using the World Wide Web without the benefit of search engines, though there actually was a time when websites existed, yet tools like Google didn’t. During the dawn of the digital age, links from one website to another were how people discovered new destinations on the Web. But even all these years later, at a time when Google generates billions of results pages daily, these backlinks still serve a purpose with regard to search engine optimization (SEO). But what is a backlink in SEO and how do such links affect online businesses? A backlink, also called an inbound link, refers to any link that points to a particular website and originates from a different domain. The term itself boils down to a matter of perspective: A link from a colleague’s website to your own would be considered an outbound link by your colleague, but a backlink for you. And these days, the more backlinks that your site has, the better... at least as long as those links are legitimate. Stated simply, the number of authentic backlinks that point to a website largely determines the level of authority that site has in the eyes of search engines. And the more authority a site appears to have, the more highly it will rank on results pages. That’s where SEO comes in. So how can business owners leverage this concept and boost their site’s visibility on the Web? Google and other search engines use backlinks to determine the value and popularity of a site. But it’s not just the quantity of backlinks that can elevate a site in search results; the quality of backlinks’ publishers also plays a significant role. Depending upon factors such as how reputable of a resource a referring site is, and how relevant that site’s content is to your own, your site rank stands to rise. Having a wealth of backlinks pointing to your site is ideal, but what’s the best way to go about acquiring these links? Send out press releases and offer to write guest posts for blogs in your industry. Build your backlinks slowly over time to increase your site’s visibility. Stay active on social networks by promoting your new content. If you own or operate an online business, you’d likely love for your site to be found by as many people as possible. 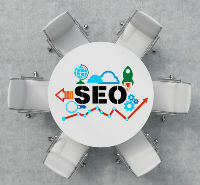 A number of different factors play a role in the development of a strong SEO strategy, with backlinks among the most influential. So if you’ve ever wondered what are backlinks in SEO and how can they benefit my business, hopefully this article addressed any questions you may have. Now that you’ve learned the basics of backlinking, check out some of our other great articles on optimizing your site for search engines.